To create a diverse, worldly organization attracting and fostering great people whose perspectives are heard and valued. 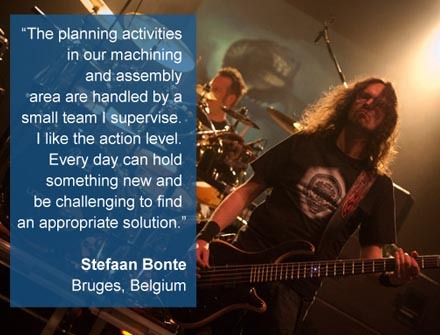 We are continuously building on our diverse strengths to further cultivate a strong, inclusive work environment. Company initiatives are defined and developed with the intent of embracing diversity and inclusion while enhancing the cultural competence of the workforce globally. At Dana, Employee Resource Groups (ERGs) exist to enhance Dana's ability to attract, retain, and develop employees of varied backgrounds. 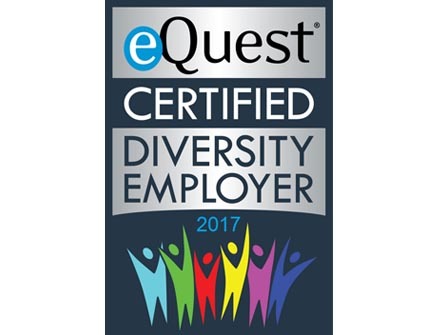 The ERGs are employee-led initiatives with the mission to inspire growth and innovation and foster diversity for all employees. 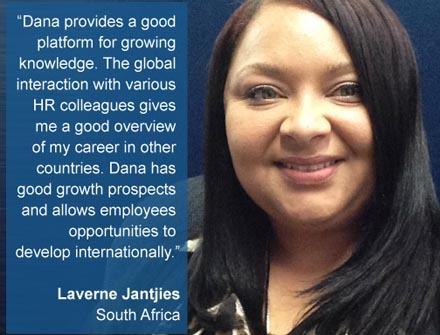 DAWN's vision is to support Dana efforts to be a global technology leader by attracting and developing a diverse workforce, enabling a legacy of innovative leadership. DaWN promotes professional networking and career development opportunities through mentoring, education and philanthropy for women across varying experience levels. 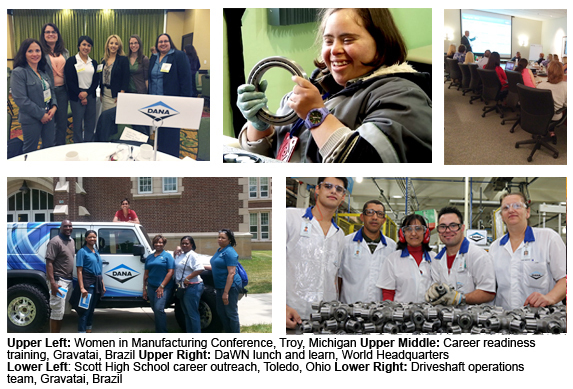 DAWN aspires to support future business growth by making community connections and influencing the next generation of Dana employees. AARG’s vision is to be an employer of choice for diverse candidates and employees who align with a tradition of superior innovation and technology. The AARG’s goal is to support the company in building a legacy of diversity, inclusion, and collaboration that goes beyond individual differences. The group supports the development of a strong pipeline of African-American talent and actively encourages an environment that promotes diversity in our recruitment, development, and retention initiatives.